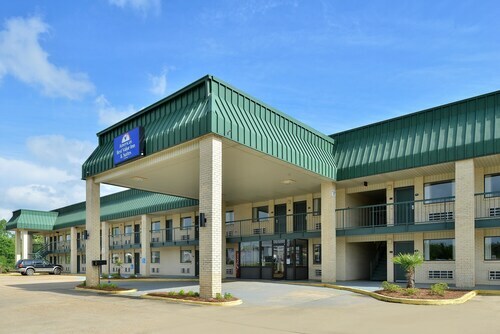 Situated in Greenwood, this hotel is 0.4 mi (0.7 km) from Museum of the Mississippi Delta and within 3 mi (5 km) of Florewood River Plantation State Park and Back in the Day Museum. BB King Museum is 27.8 mi (44.8 km) away. Located in the heart of Grenada, this hotel is 2.2 mi (3.6 km) from Bledsoe Park and within 9 mi (15 km) of Grenada Country Club and Dogwoods Golf Course. George Payne Cossar State Park and Winona Country Club are also within 32 mi (52 km). 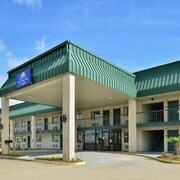 Situated in Greenwood, this hotel is 1.3 mi (2.2 km) from Museum of the Mississippi Delta and 2 mi (3.2 km) from Back in the Day Museum. Florewood River Plantation State Park is 4.1 mi (6.6 km) away. Located in the heart of Grenada, this hotel is 2.2 mi (3.5 km) from Bledsoe Park and within 9 mi (15 km) of Grenada Country Club and Dogwoods Golf Course. George Payne Cossar State Park and Winona Country Club are also within 32 mi (52 km). 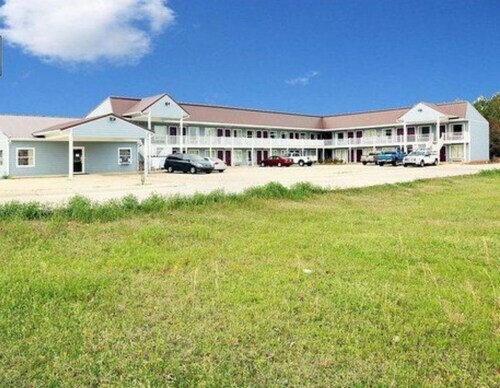 Situated in a rural location, this motel is 4.9 mi (7.9 km) from Winona Country Club and within 25 mi (40 km) of Grenada Country Club and Bledsoe Park. Back in the Day Museum and Dogwoods Golf Course are also within 32 mi (52 km). Situated in Grenada, this motel is 2.3 mi (3.8 km) from Bledsoe Park and within 9 mi (15 km) of Grenada Country Club and Dogwoods Golf Course. George Payne Cossar State Park and Winona Country Club are also within 32 mi (52 km). Situated in Grenada, this hotel is 3 mi (4.9 km) from Bledsoe Park and within 9 mi (15 km) of Grenada Country Club and Dogwoods Golf Course. George Payne Cossar State Park and Winona Country Club are also within 32 mi (52 km). Situated in Grenada, this hotel is 2 mi (3.3 km) from Bledsoe Park and within 9 mi (15 km) of Grenada Country Club and Dogwoods Golf Course. George Payne Cossar State Park and Winona Country Club are also within 32 mi (52 km). How Much is a Hotel Room in Grenada? Hotels in Grenada start at $55 per night. Prices and availability subject to change. Additional terms may apply. If you are heading to Northwest - Delta Region and are looking for a place to put your feet up in Grenada, you'll find that there are a great range of options. Travelers can access approximately 11 modern accommodations within a short drive of of Grenada. The Rodeway Inn & Suites is an excellent hotel option as it is so close to central Grenada. 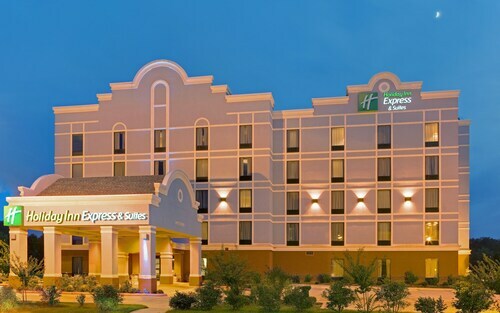 The Holiday Inn Express & Suites Grenada is positioned 1 mile (2 kilometers) outside of the town center of Grenada. 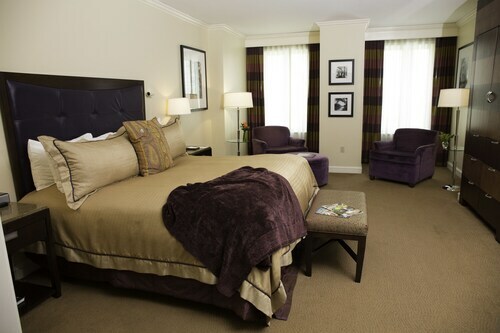 An alternative accommodation option is the Comfort Inn & Suites Grenada, which is 1 mile (2 kilometers) away. 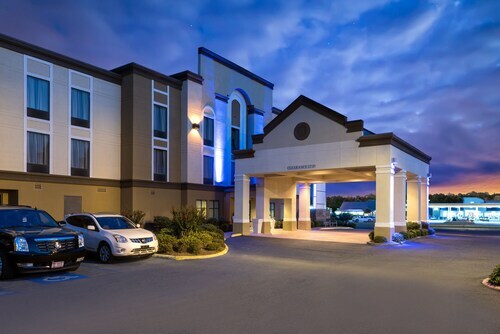 Other Travelocity-registered hotels include the Hampton Inn & Suites Grenada and the Econo Lodge Grenada. If you have the time to travel through more of the rivers in this section of United States of America, you should plan extra days in other parts of Northwest - Delta Region. 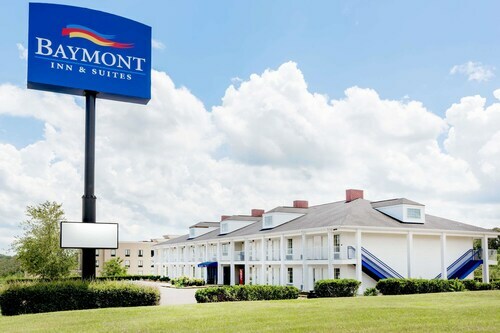 Enlightened visitors could make memories at this area's sights or try your luck at mountain biking, horse riding and bird watching before you find a popular Travelocity-listed lodging. Situated 20 miles (33 kilometers) from Grenada visitors will find Indianola, which you'll have the chance to enjoy the Winona Country Club. 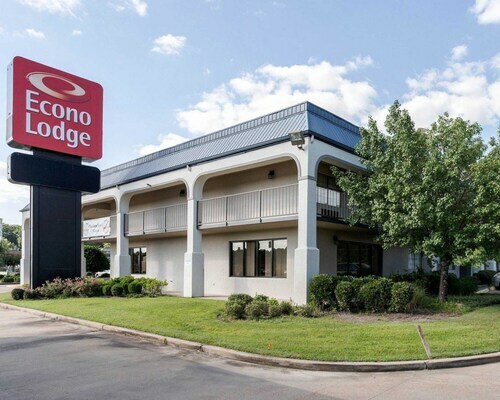 Winona Travelocity-registered accommodation options include the Holiday Inn Express and Suites Winona North and Americas Best Value Inn & Suites. Consider a trip to Indianola, where you'll find the BB King Museum. Indianola is found 55 miles (88 kilometers) to the southwest of Grenada. 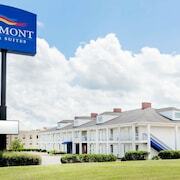 The Super 8 Indianola and Hampton Inn Indianola are options for places to stay. If you are interested by sports and love watching local clashes you should definitely get to C.M. Tad Smith Coliseum, which can be found 45 miles (70 kilometers) to the north of Grenada. 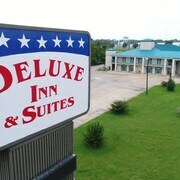 Wise travelers that are hoping to find a room close to the stadium can take their choice from the Super 8 Oxford Ms or the Quality Inn & Suites. Tupelo Regional Airport is 70 miles (112 kilometers) away from the middle of Grenada. 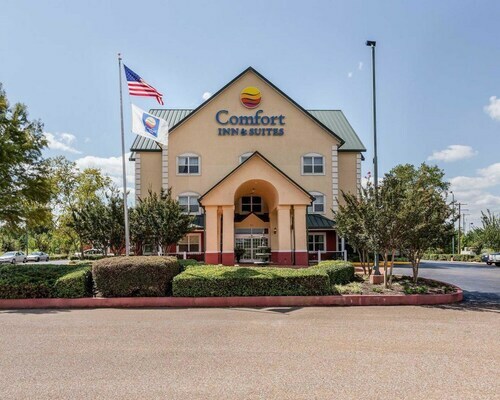 Comfort Inn is a short car ride from the airport. Under construction, no bathroom working in lobby after HOURS on the road, dead bolt broken in the room, construction "slop" all over the bathroom door, bathroom shower was old and needed rusty caulking replaced. Front desk person was not the friendliest. The tv picture had wavy lines in it half the time and the remote only worked if you stood right in front of the tv. The bathroom was dirty. We cleaned the tub before using it. The blue bed cover had a white patch on it. The fridge didn’t work at all. Hotel did not have my reservation! Please advise how this happened. Hotel gave me a room but did not have my reservation. Will not use travelocity again unless I receive an explanation. Decent for one night. Mattress was like sleeping on a trampoline, a/c was not on when we checkied in, took about an hour to cool the room down, fortunately it was cooler than usual.